She sure looks like she is up to something! 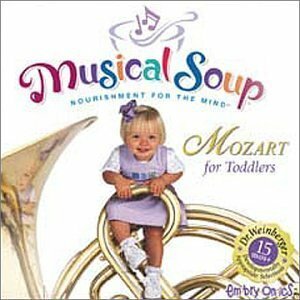 Musical Soup is offering 50+ Classic Mozart songs for children on their website available for free download. Check them out here. Mozart Wombsong Collection and Mozart Toddlers Collection are both FREE. I will be downloading them onto one of the inexpensive MP3 Players I bought the day after Thanksgiving to share with the grands. Thank you Money Saving Mom for this find! Becca's Pay it Forward to Get Games and Children's Movies to local Children's Hospital's. Use the game and Disney Children's Movie Deals Pay it Forward. Check out this weeks post for for some amazing game deals for charity. Becca has spent way too much time in her 20 years at the Children's Hospitals. The games and movies were her constant companions when things were tough. What will we do with all these amazing card games and board games and Children's Movie Deals? With using our coupons, rebates, even gift cards we can find some amazing deals and why not pick up an extra set along with Becca. Pick them up and drop them off at your local Children's Hospital in honor of our special kids. Or another idea....drop them off at your local Boys and Girls club chapter to help even more children. Detamara's idea. Becca has been struggling lately, sick and even more sick and tired of trying to explain to the schools just how hard it is to be Becca. She is working on something positive and also fulfill her volunteer high school graduation requirements by organizing the campaign. Please consider helping these amazing places who help so many children's lives but also you help yourself feel good by making difference. Post back and let us know if you joined her in dropping off games or movies... and Win a Set of 3 Games for a Charity of your local Children's Hospital. Buy $20.00 worth of Hasbro Board Games get a $5.00 Toys R Us Gift Card. You will be able to score amazing deals if you have already printed off the coupons or have any left from the newspaper. Need more games coupons? You can buy some of them at The Coupon Clippers. Combine it with the Hasbro Game Coupons for some amazing deals. Use $5.00 off Hasbro Elefun coupon *if you were lucky enough to print it and it still is good. We have a doctors appointment in Madison and we will be stopping by Toys R Us and picking up some games to drop off at our local Children's Hospital. Becca and I have spent too much time in them and it is our way of paying it forward. Join us and doing a Children's Hospital Game Drop! Kmart has Tag Books on sale for $8.99 each. the Leapfr0g Leapster Game Deal. My friend Joleen called yesterday to remind me that the tiny village of Louisburg (Louisiana in Detamara's infamy) had their "Citywide" Garage Sales today. I roused Detamara up early and we were off to the tiny hamlet of maybe 20+ homes and a car dealership about 20 miles from home. For the past two years I have launched my garage sale season the last weekend in March. Sometimes in snow, rain, and this year a sunny 23 with a stiff wind that chilled us through. But the trip was worth it. My find of the day.... This Wooden 26 Count Pottery Barn Block Set. Guess what I had paid... no cheating by blowing up the picture. A amazing 75 cents. I picked up a stack of button up shirts in size 3T to 5 for Nathan's little paddles (Ralph Lauren, Calvin Klein, Nautica etc. ) for a $1 each and two pairs of designer dress cords to match the 2 designer sweaters. I found a couple of Melissa and Doug sets, Tanagrams and lacing cards for a couple of dollars each. My second favorite find was a Stainless Steel Stockpot with Glass Lid, they were asking $10, with a little haggling got it for $6 and I now have enough pots when I make freezer meals. Detamara couldn't resist the Cuisinart Egg Cooker in its original package. Detamara (a city kid) was laughing when we were walking up to one garage being followed by a couple of geese and a pair of farm ducks, as an Amish buggy was pulling in. Just a day in the life of a doctors family in farm country. *I have not kept up my blog this week as I am buried--literally buried in her educational records from 20 years of schooling. Using Children's pants hangers, make the best clips. I started using them a year ago, and I use them almost everyday for many purposes. Use your kitchen shears and cut it at the beginning of the clip on each side. traveling. They even work as clothespins hanging out clothing. They are locked in place and on windy days they do not pull loose. The advantage of these over store bought clips, they don't have handles and are much stronger and compact besides they are FREE. Hint: At our favorite children's department store ask if they have any of these hangers. They often do not reuse them and will be more than happy to give them away! With the Hasbro coupons from today's paper I was able to get 8 games and 4 My Little Ponies to put away for Toys for Tots. 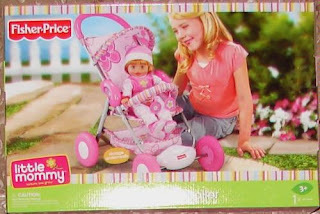 I am just back from Kmart doing some early Christmas shopping and picked up a few Toys 50% off the clearance price. They also had their winter clearance clothing for $2.99 each and I stocked up on pajamas for both Becca and Detamara. 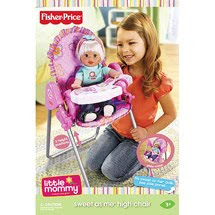 I didn't pick up any Fisher Price but in my email there was a $10.00 off of $50.00 Fisher Price Kmart Coupon which may be worth printing off. Our store had several larger ticket Fisher Price Learning Toys and the Handy Mandy sets where this coupon will get it discounted further. We ran out to Walmart for a bicycle pump for our Target Schwinn Clearance Bikes for a ride tonight. I found these two Fisher Price items over by the bicycles and had to take a double-take over the prices. I grabbed these for a start on my Christmas shopping and may go back and grab a couple of more to donate to Toys for Tots! Even More Disney Movie Deals! Toy Story and Toy Story 2 are being released 3-23-2010 and here is another Target Deal for you! 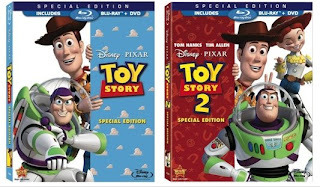 You will also receive movie cash towards Toy Story 3 (June 18) in each combo pack as well as a Target-exclusive DVD-ROM game. They will be priced at $19.99 from 3-23 to 3-27 with another $10.00 off when you buy both Combo Packs. Use $10.00 off Trade Up Blu-ray Coupon through Disney Rewards if you have them already. **Check back for any Rebates that may come available. 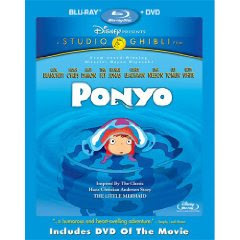 We found this posted at A Full Cup and Blu-ray.com and as more information arrives and links we will be keeping the blog updated. I know where we will be when Target opens on Tuesday! Our store sells out of Blu-ray in just minutes after it opens. 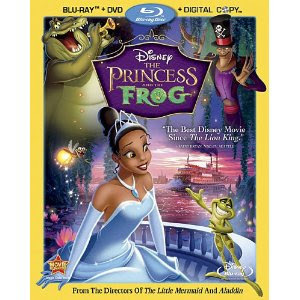 Just in Case you are need another The Princess and the Frog Movie Deal here's another. *To get this price you have to buy Frog Painters Tape. I am in the process of painting and needed some painters tape anyway. and get a $5.00 rebate. There will be $1.00/2 Success Rice Coupons coming out also. If your grocery store doubles like our Piiggly Wiggly I can get cheap rice to go with it. Kristy told me to head to You tube and see the latest video of Princess Kasja. I think this might just be a yogurt commercial in the making. This proud Nana just had to share with family and friends! 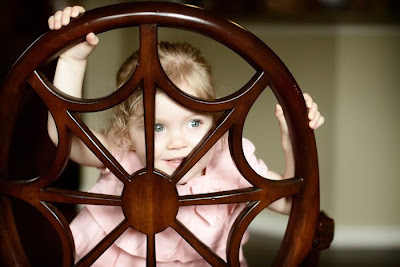 You little princess can interact playing games and activities their favorite princess. Screensavers, cards, coloring pages, and activities. Along with princess paint, games and other interactive games to keep your little princess busy and all for FREE! We spent the afternoon researching Disney Princesses and found this Disney Princess Trivia. How many Princes or the Princesses Heroes can you help us name? Becca is giving away a copy of Disney's The Princess and the Frog Blu-Ray Combo Pack. To enter leave a comment answering the question: Who is your child's or your favorite Princess and what little princess will this be given to? To earn an extra entry blog about any post: Becca's Princess Movie Coupon, Deal ( coming 3-14) or Contest and comment back with the link. Comments are moderated to keep spam away. Good luck and I hope your little princess gets to win. The entry will be drawn on March 21, 2010 at noon. And don't forget to check out the movie trailer, print your coupon and find a deal or rebate. *Buy Frog Tape to Submit for the Disney Rebate (I have some painting to do anyway). Print your $10.00 off Disney's The Princess and the Frog Blu-ray Combo Pack. 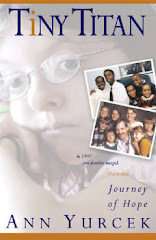 Will be released next Tuesday March 16, 2010. Purchase The Princess and the Frog Blu-ray or DVD and any roll of FrogTape Multi-Surface (24mm, 36mm, or 48mm). Buy 2 boxes of Band-Aids and The Princess and The Frog on Blu-ray or DVD to get a $5 rebate! Check out all the details and print the rebate form here. This is a great rebate because it should be pretty simple for you to score FREE Band-Aids. Use the $1.00 off Target Coupon and mfg. coupon to save on the Bandaids to go with the rebate. We are anxiously awaiting this release. Detamara asked why Disney waited so long for a Black Princess? She wishes they had done it when she was smaller as she would have loved to have Disney princess who looked like her. With my RR will be FREE! I found this extra coupon on the Walgreens site for 3/7-3/13. **Walgreens Catalina Printable I got when I did the Purex Deal last week. or $1.00 mfg. coupon from ?? I will price match the Walgreens Ad at Pamida to use my $1.00 coupons and get more for $.50 each! I won't have to buy laundry detergent for a very long time and either will some of the grown kids. Pay $.49 for 2 Gillette Deodorant and 2 Gillette Body Wash. I found this deal posted at A full cup and it worked perfectly for me! Just when I finally got all my finds put away, I found more Freebies to buy. Check out the thorough posting at Attention Target Shoppers for more Free finds. 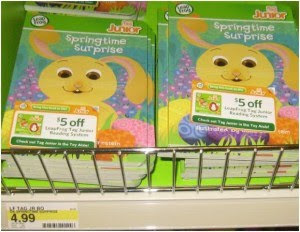 I bought the Tag Jr. Easter Book and realized the coupon on the book is a Target Coupon (exp. 8-1-10). Combined with a sale and a manufacturer coupon it may be had for a great price. Right now there is a $5.00 Tag Jr. Coupon at Coupons.com which may be worth printing in case Target puts it on sale this month. Using both coupons will take $10.00 off! Pay $2.99 for Book with Target Tag Jr. Coupon attached. I rode with Doc to round in our neighboring town and he dropped me off at Walgreens. I began with using Flex money to pick up two transactions of 5 Dayquil each which netted me 2--$10.00RR after spending $14.95 after coupons each. I rolled from there, doing three more transactions with a smiling assistant manager! My plan needed to be modified because of finding more deals and coupons. Picking up 3 cheese, 3 meat and 2 Oreos (for Doc and Dee) to get the Kraft Reward. Scoring 4 boxes of Post Fruity Pebbles for free and was shocked when I got another $3.00 RR. But I still did alright. Only paying for fillers and my Diet Pepsi as I was done before he got back from visiting patients. Adding in 2 DozenEggs, 4 Glade Sense and Sprays, 4 cans of Mushrooms, 2 Colgate Total, 2 Gillete Body Wash, 2 Gillette Deodorants, and Gerber Baby Food Peaches for baking Gluten-free Peach Yogurt Muffins this afternoon. Total $1.06 and $1.93 at Walgreens. 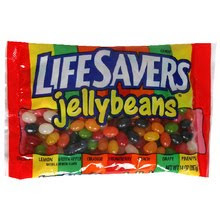 We then headed over Walmart and picked up $1.00 Glade Candes and Plug-ins using coupons and our FREE Oreo Cakesters, Herbal Essense Shampoo and Free $.25 packages of 3 stretchable gloves to use up my overage and I price matched Walgreens to get lactose free Breyers Ice Cream and 6 Oscar Mayer Deli Chicken. We also used the $1.39 Franks Red Hot Sauce coupons and got 3 larger bottles for $.44 each. I splurged and treated myself to some fresh fruit for breakfast because of saving so much elsewhere! Stopping by Piggly Wiggly I picked up cheese to add as fillers to get the before coupon total over $25.00 and scored 6 boxes of Honey Nut Chex and a Gallon of Milk. I had been staying home for the past two months, living out of our pantry. For me turning saving is an art...a challenge... and just to see how far I can stretch out a dollar. Besides with only two kids home I am now bored! I would have never believed that living in rural America I can get this much for FREE. I rolled a $5.00 RR at Walgreens and got 4 boxes of Gluten-free Fruity Pebbles for FREE and walked away with another $3.00 RR for buying 4 boxes of Post cereal! I wasn't sure how this would go so had extra items just in case. Three trips to Piggly Wiggly and One to Walgreens we will have gotten 18 boxes of Various Gluten-free Chex and 4 boxes of Fruity Pebbles and three gallons of milk for FREE. Becca found another Disney Movie Deal! 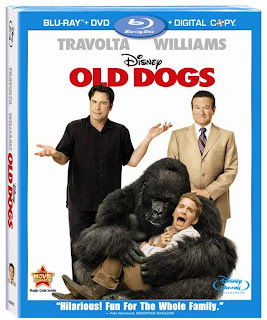 Tuesday 3/9/10 is the Release of Disney's "Old Dogs". Check out the Movie Trailer. Use this $10 off Disney’s Old Dogs Blu-ray/DVD Combo pack. Don't forget to enter your points at Disney Movie Rewards! Our Old Dog read the previous post! Two summers ago, we acquired a new member of the family. We were helping a friend move and the house that they rented came with an abandoned Yellow Lab/Golden Retreiver named Holly. Her owners had abandoned the house 7 years earlier and left the dog on her own dropping off food into her garage home once a week. My friends family had taken care of her for a year. They were moving and on Saturday we frantically tried to find an open shelter and to no avail. With my friends 5 adopted children, Detamara and Becca (a dog lover) Doc knew that we had no choice but pick her up put her in the truck with him and moved her along with the furniture. By this time, my girls were worried terribly about the lethargic dog and we realized we just "adopted again!" She arrived in Lancaster with her 90+ woodticks and after a bath, tick removal we were off to the vet and $300+ later. The dog had severe Lymes disease, a raging kidney and bladder infection that had been ongoing. With Holly being an older dog we did not know whether she was going to survive, but Detamara took on the challenge of nursing the neglected dog. We had new carpet and a leaking dog with damaged bladder control. She cried being in the laundry room and Detamara told me that "Just because someone is old, we don't give up on them, we buy diapers". "Besides you had to buy pull ups when you adopted me". Detamara and Holly (now coined Diaper Dog by Howard the Orkin Man) are the best of friends. Bonded by their neglectful histories, where ever Detamara goes Holly is only a few steps behind. Holly is now about 10+ years old, her white face shows her age. But for the remainder of Holly's life she is spoiled. No longer neglected, she is happy to wear her Diapers and no longer wants for attention or a warm place to sleep and has plenty of food. Estrogen pills from the vet is helping keeping leaking to a minimum and we can now get by on a package a week! Detamara has helped Holly heal and Holly has helped Detamara. A girl and her big old dog. Yesterdays Walgreen Find--Clearance Adult Diapers for Our Dog! $3.79 less $1.50 coupon = $2.29 and we have three weeks worth of diapers. Savings: Over $200.00 buy matching coupons and rolling rewards at a 2 Walgreens stores. Did you know you can buy oranges at Walgreens? I found 4 Pullups that are on clearance for $2.79 less 4--$2.00 coupons Paying $.79 each or $3.18/4 and received a $5.00 RR for a Moneymaker which I then rolled on other transactions. I will submit my receipts for Medical Flex Reimbursement as I always begin with putting out my cash for non-prescription items and then roll them onto the rest of my shopping. Walgreens wouldn't let me use the BOGF coupons on the BOGF Purex two get 2 free, but instead I bought l and got 3 free using $5.00 RR to pay only $.99 for 4. I did it twice to pay $1.98 for 8. 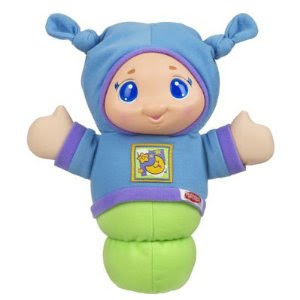 Kmart has the Hasbro Glo Worm on sale this month for $6.99. 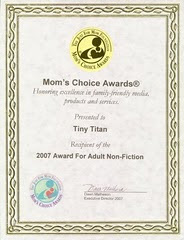 *I picked a couple up as I have a couple of baby gifts to buy as our niece and nephew are both expecting this spring. I have given these to each of my Granddaughters and Baby Paddles got one for Christmas. 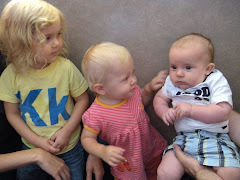 I had fun picking up a few items for the little ones. Our Small Town Pamida has Double Coupons this week. Combined with they match local ads, I may be able to score some freebies! Check out Walgreens Ad Scan for the upcoming week. I just did my rolling and scored FREE cereal and got $3.00 in Register Rewards to start my next weeks shopping! 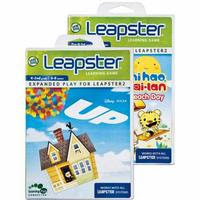 Use these coupons to along with the $5 off LeapFrog purchase of $30 or more Target coupon from here and find some amazing leapfrog learning finds. Target has these TAG Jr. Books in the Easter section for $4.99. *I need three and will combine it with more leapfrog items to double up the savings with the $5.00 off Leapfrog Target Deal. I always carry a batch of Leapfrog learning coupons in the back of my coupon binder just in case I run into Leapfrog clearance items. 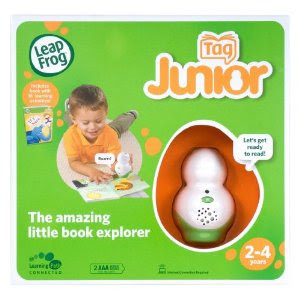 Doing this I have bought Tag Jr. and Tag books for as little as $1.00 and found FREE leapfrog games. We have built quite a collection of books, games and products at this point. I have begun building Kasja and Mahala and now little Paddles Tag Jr and Tag book collections. He got a TAG reader for Christmas thanks to the Target and TAG mfg. coupon double up before he is even born. I found two books each on a clearance rack at Walmart for $1.00 after coupons. In the Target Easter Section I spied a Mr. 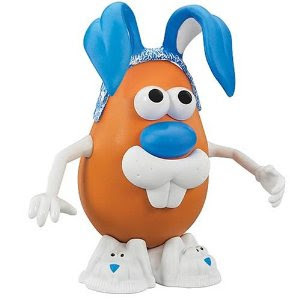 Potato Head Spud Bunny for $5.99. 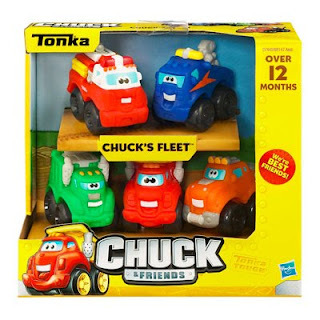 Use the $2.00 coupon from Hasbro and Coupons.com last month and get it for $3.99 for an Easter Basket frugal stuffer. The Easter Section has Easter Little Ponies for $5.99 and combined with the Buy One Get One Free Coupon from Coupons.com from last month will score TWO for the Price of One. I stopped by Walmart last night to return a Redbox rental and cruised the children's clothing racks. 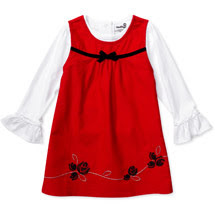 Walmart here is usually late in the clearance season and I will be watching as I can find incredible deals for play clothes. Last night I found Infant and Toddler Girls Healthtex corduroy pants, two piece jumpers, tops, skirt with leggings all for $2.00 a piece. The rack was full of three different jumper sets, 4 different red and white tops, three corduroy pants and a two piece-skirt/legging set. Also of Note: Disney Infant and Toddler Blanket Sleepers were $3.00. Princess Tiana, Disney Princesses, Tinkerbell, Minnie Mouse, Toy Story and Cars were the ones I got to choose from. In the Juniors Section--Our Walmart had all the Miley Cyrus Winter Clothing Line $1.00. I bought Becca and Detamara each three different knit short sleeve t-shirts. 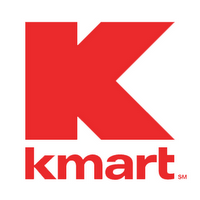 **Walmart is hard to predict on clearance as many stores have different markdowns and schedules. But this is what I found in Wisconsin at our local store as a trend. Piggly Wiggly in our area is doubling coupons from March 3-23! I am so excited. They will double up to 5 coupons up to a $1.00 with a $25.00 purchase. Split your order into $25.00 increments to be able to double more coupons. Hand the coupons you want doubled to the cashier first, then the rest of the coupons. Maximize savings by matching on sale items with coupons and then figure which items will have the greatest savings. The top five or ten if order is split will be the doubled coupons. Anny's Crazy Pig Deal Find--Week of March 3 to 10. I will buy my produce on this transaction as to not have any other coupons on it to get my $25.00 sale. getting low after the kids were home for Christmas stocking up from Mom's Mini-Superstore. and $5.00 Any Baby Einstein Video. Head on over and print your coupons. Remember to enter your Disney Rewards Points. Becca is excited to give you more Disney coupons for your little ones. 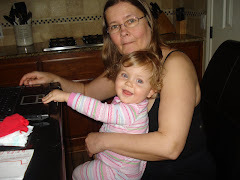 She is printing the Baby Einstein Video coupons for her new nephew referred to as "Paddles" who will make his entrance into the family in April.